"If I have a little girl someday, I will give her this quilt. I love the simplicity of the design and the soft colors. 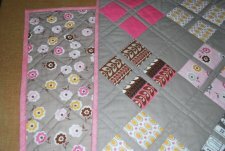 I made this quilt using the Daisy Cottage collection of fabrics, but it could be made with anything that you love. These fabrics are very girly, but you can change the fabrics to work wonderfully for a boy. 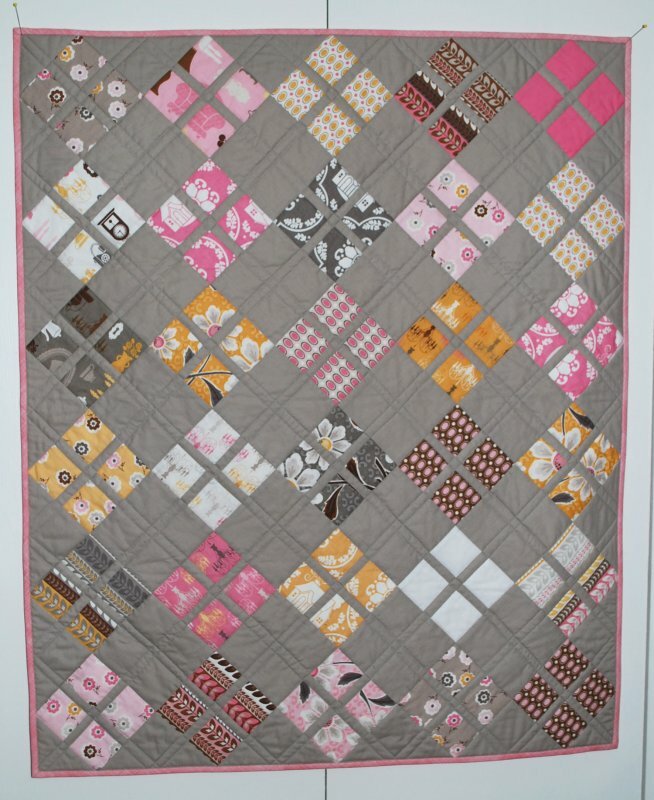 This is a great go- to baby quilt for all of those baby showers you will be attending this spring. We are giving you the pattern, it is easy and fast and very beginner friendly. Just follow the link below for the instructions. 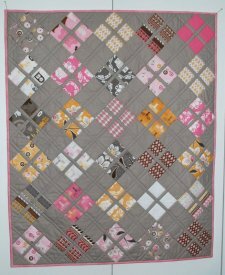 This quilt is designed to work with 2 sets of 5″ charm squares plus a complimentary fabric. Enjoy!" More Free Projects: See the right side bar at the site link above for more great projects from Erin and Jeanette!